If parliamentarian Elvira Savino has her way, Italian parents who insist on a vegan diet for their children will risk up to four years in jail. 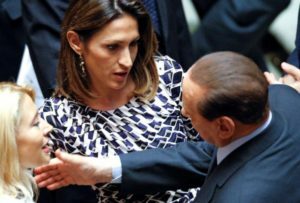 Savino, from the conservative Forza Italia party, has put forward a law that would hold parents legally responsible for feeding their children on “a diet devoid of elements essential for healthy and balanced growth”, according to its text. “I have nothing against vegans or veganism as long as it is a free choice by adults,” she told Reuters in a telephone interview on Wednesday, days after she presented the proposed law in the lower house Chamber of Deputies. eggs. A vegan diet does not include meat and all animal products (eggs, dairy). Vegans also avoid all other animal-based products like leather, wool and silk. 2. Do you agree with the proposed law? Please share your opinion. 3. What is considered a standard diet for babies and kids in your country? Are there some foods not allowed for kids?